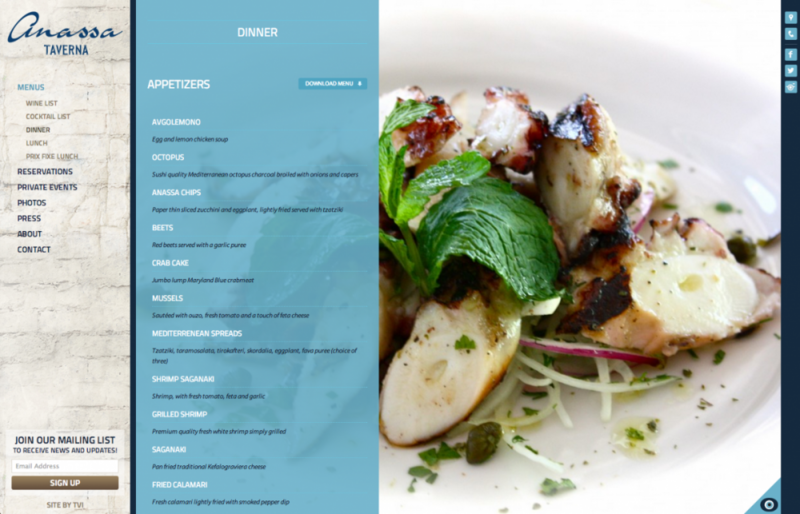 Anassa Taverna is a brand new restaurant in Midtown Manhattan that features fresh fish and traditional Greek fare. The design invokes a feeling of openness by featuring large images and narrow content areas. Plenty of movement on the site enhances the overall experience without being too overwhelming, and the WordPress CMS makes it easy for content changes.